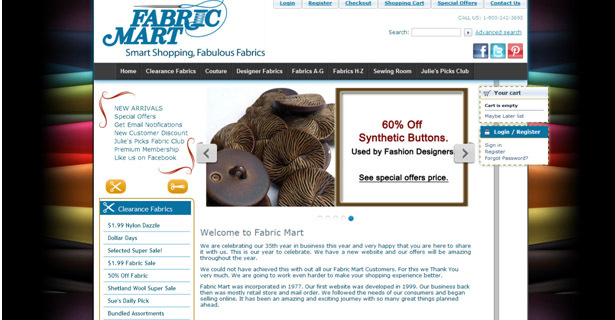 I've recently found your online store, and love your fabrics. However this short history now makes me happy for supporting a "hometown" store. I grew up just outside Philly and have frequently visited Manheim, for friends and the PA Ren Faire. Although I now live in Bergen County, it makes me happy that I can support a business in an area that means a lot to me:) Keep up all the wonderful work. I've ordered from your online store, and love the fabric, prices and customer service. So happy you're starting a blog! 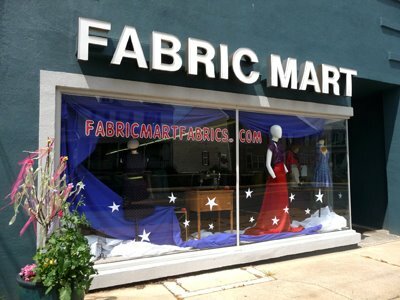 I love fabric mart and all the free goodies they send too. Really you guys are the only place I buy from online. Keep up the good work! Any chance an occasional post could include photos of customers creations using that great FabricMart fabric?? I'm not interested in writing a blog but I would love to show off my creations !! Nice one! :) You have a very good blog post. Even if it's your first time. :) It's really good.